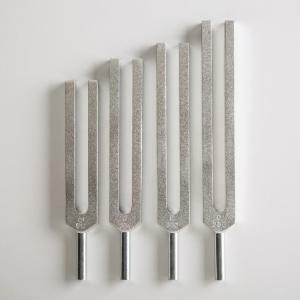 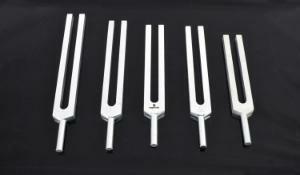 Two sets of popular tuning forks are available. One set features four tuning forks (256 C, 320 E, 384 G, 512C). 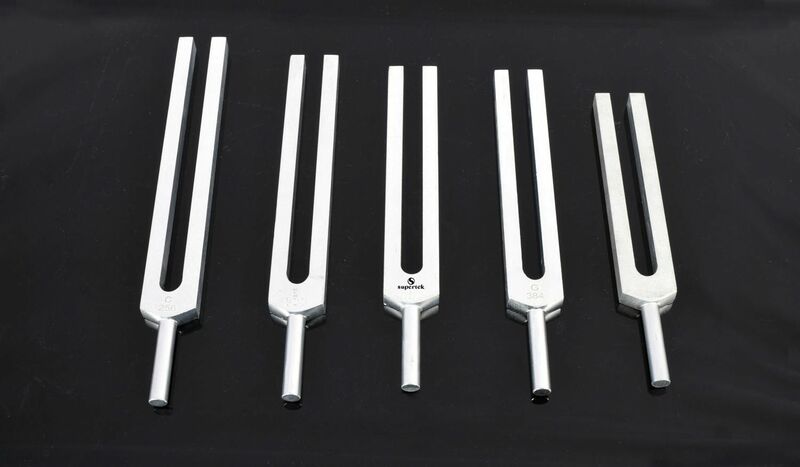 The other set features eight tuning forks (256 C, 320 E, 384 G, 480 B, 288 D, 341.3 F, 426.7 A, 512 C).